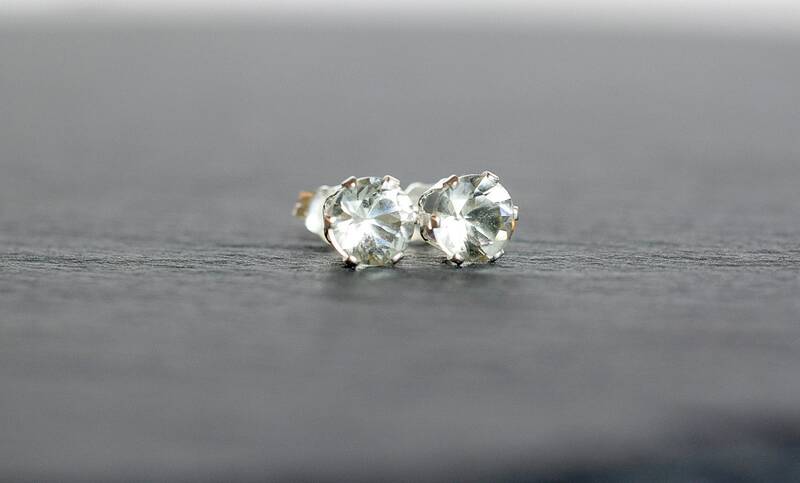 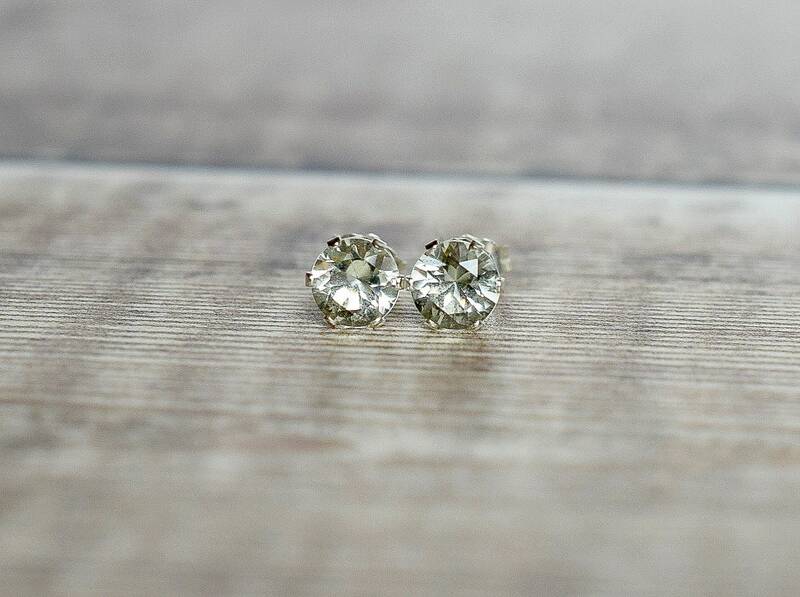 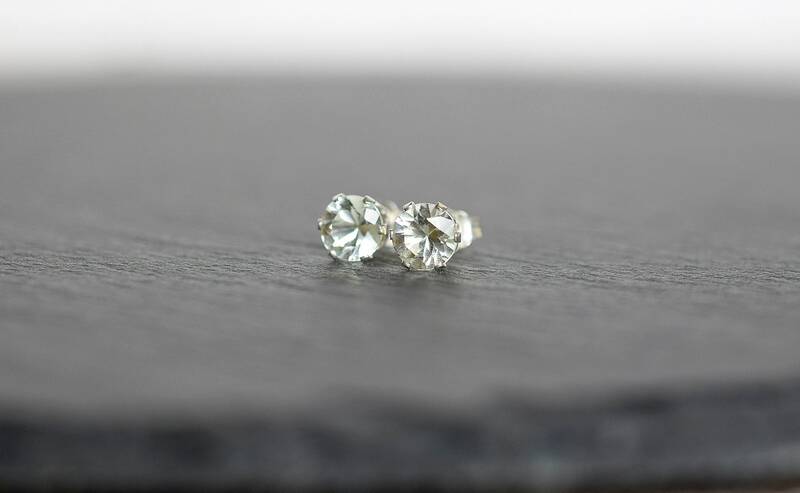 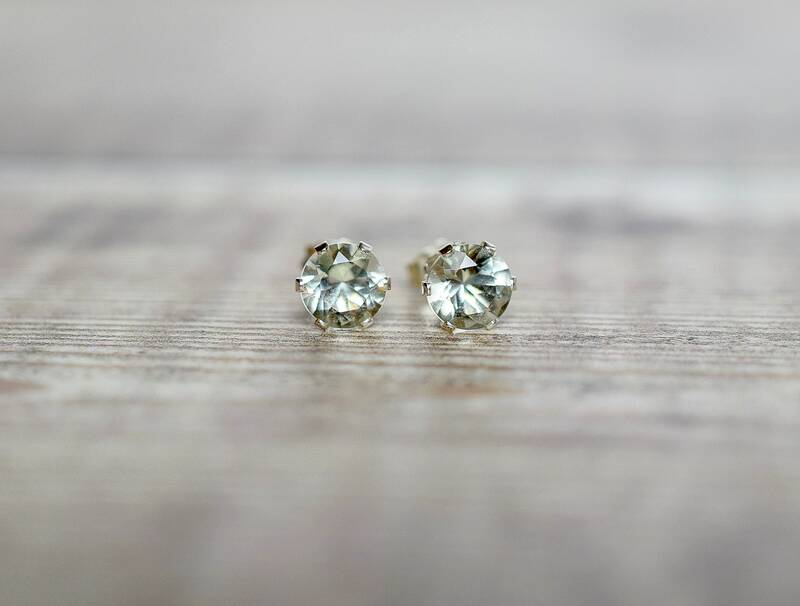 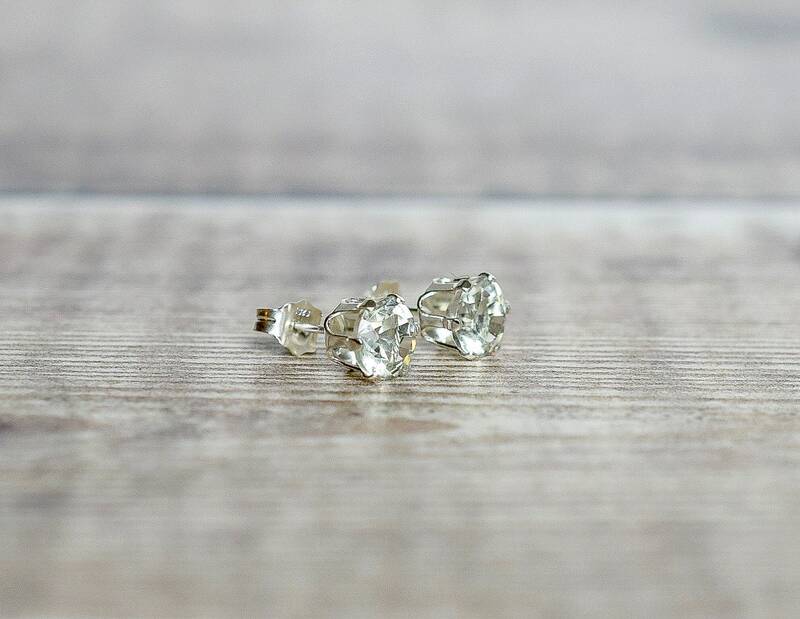 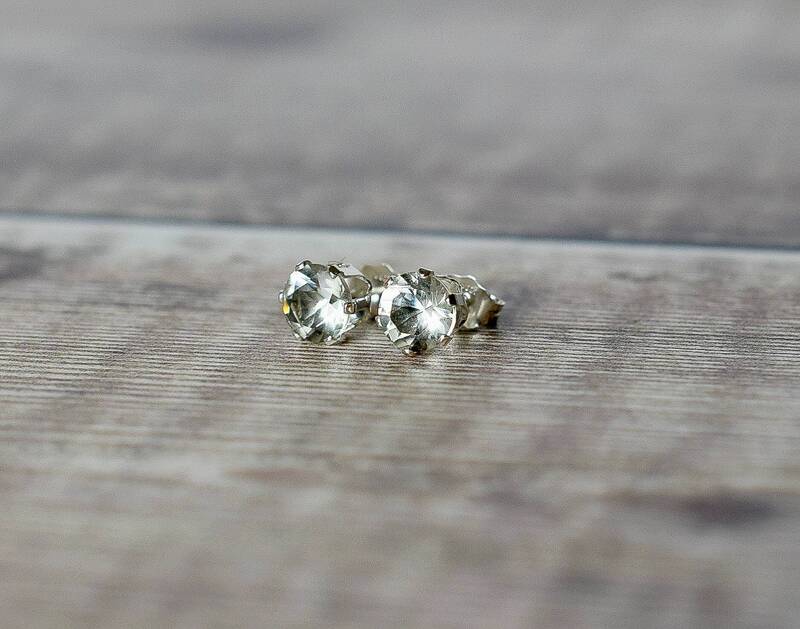 These beautiful green Amethyst stud earrings are made with natural, 6mm Amethyst gemstones and set in 925 Sterling Silver six-claw settings. 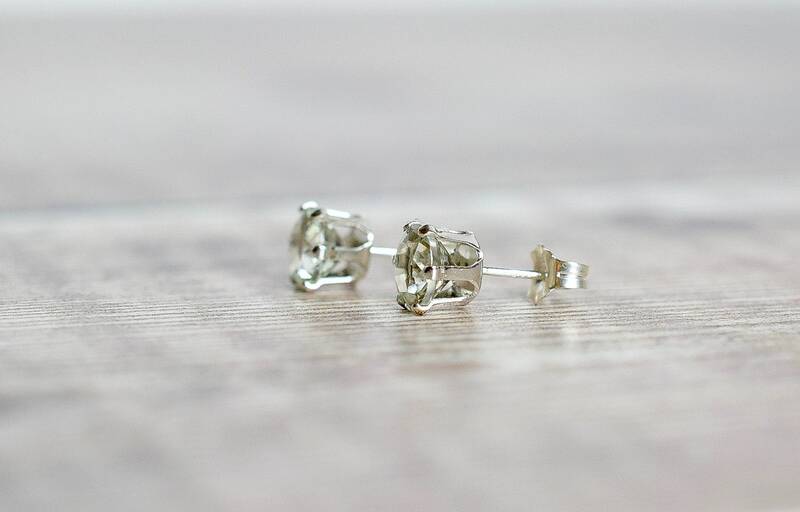 The earrings have butterfly scrolls for backs that are also sterling silver. 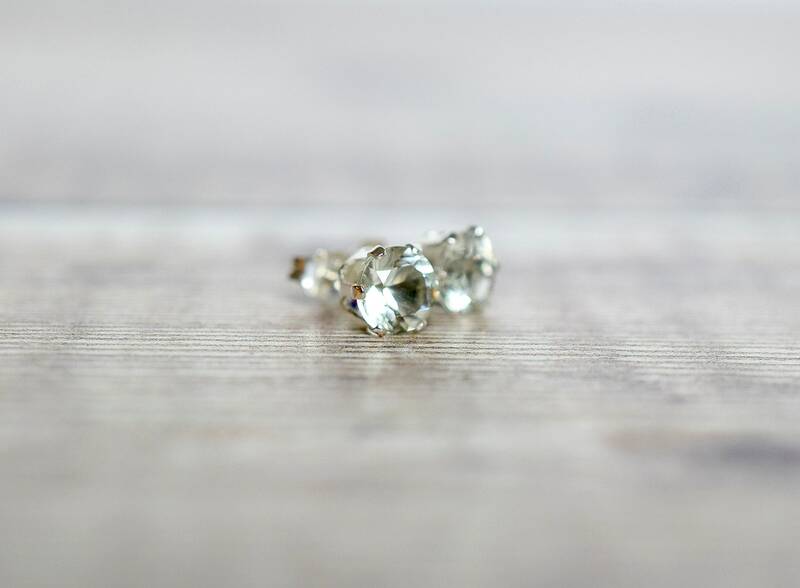 These Amethyst gems are 'Brilliant Cut' (twice as many facets as traditionally cut gems) making them super sparkly! 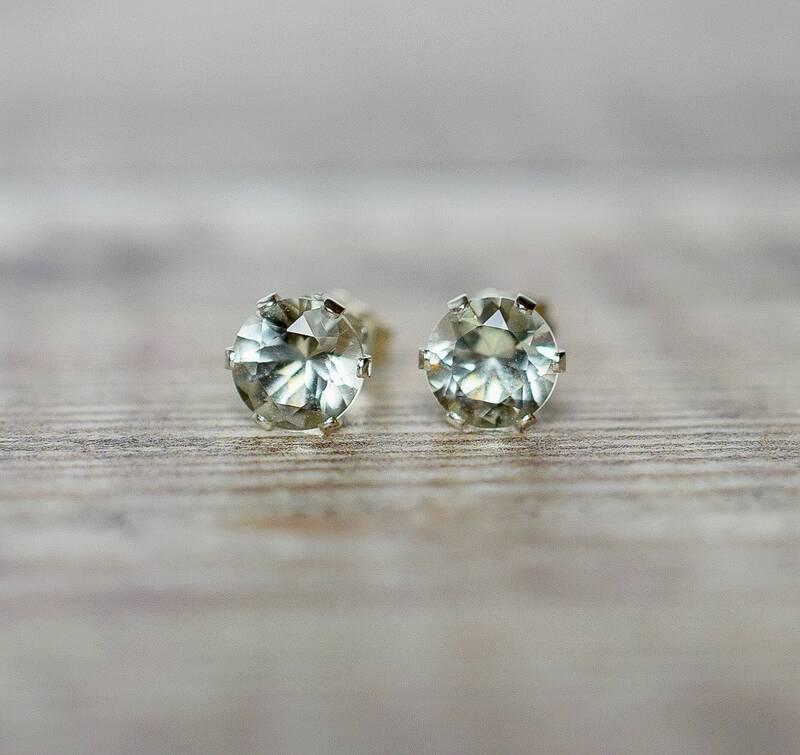 Amethyst is the birthstone for February making these earrings a perfect gift for someone special born this month! 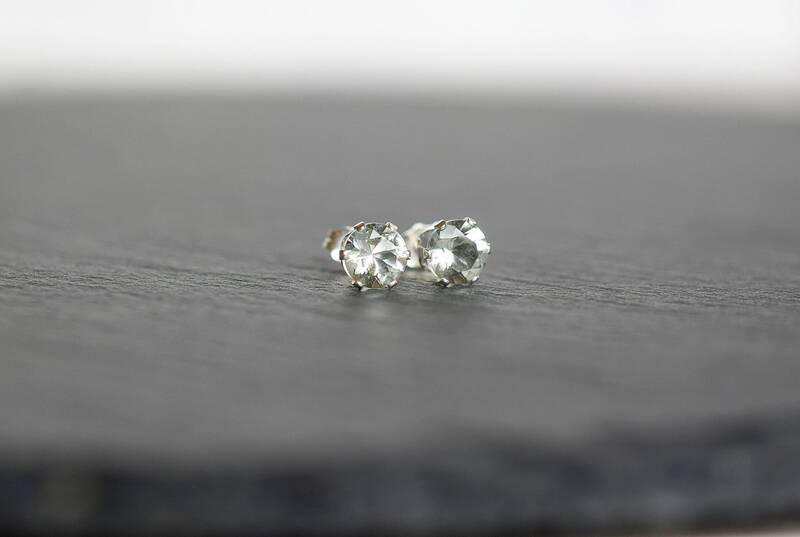 * The Amethyst gemstones measure 6mm.